I have a few Easter Cards to share today. I love making Easter cards because I love spring. I enjoy working with all the cute images and pretty spring pastel colors. 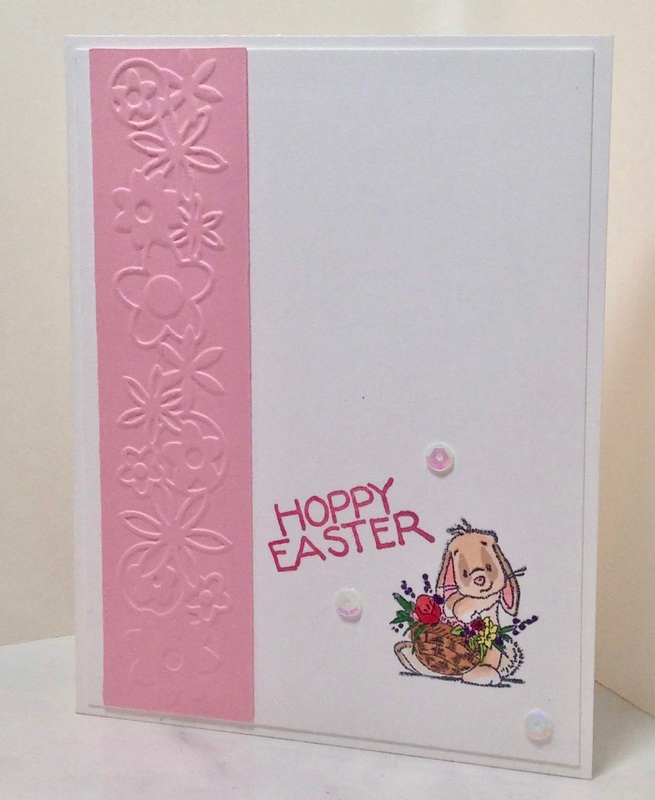 To make this clean and simple card I stamped the image directly on white card stock and colored it in. 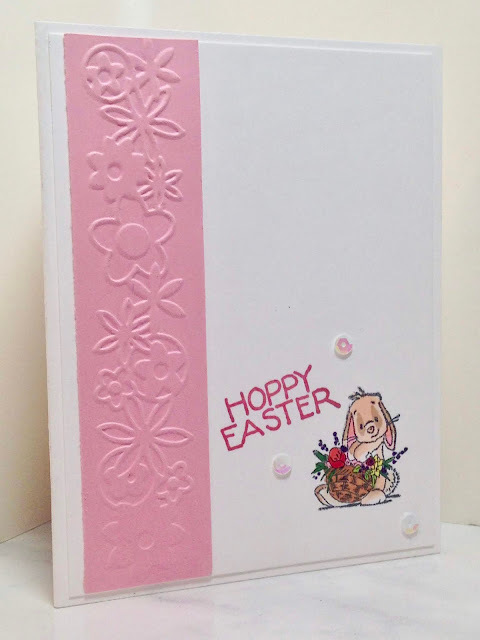 The pink border was made with a Cuttlebug Embossing Folder. I added just a few sequins for embellishment. 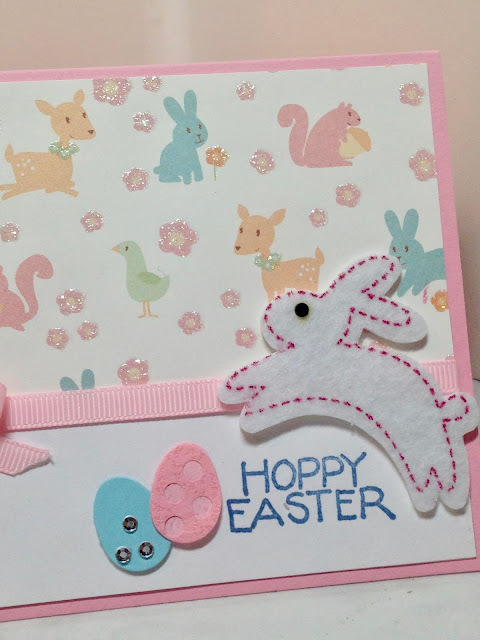 My next card uses a pre-made felt sticker from a craft store. 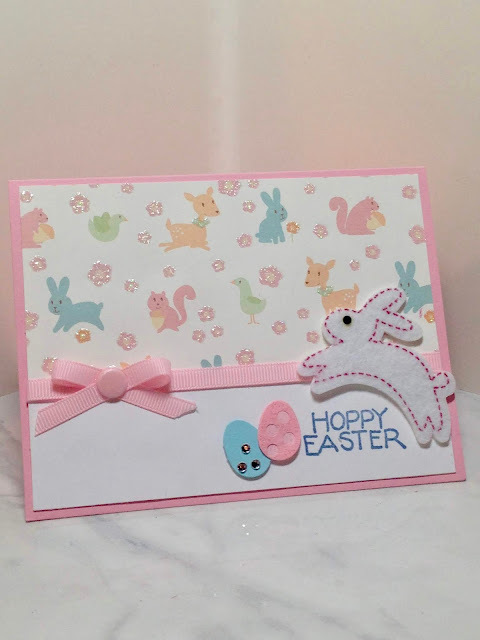 If you want to make hand made cards but you don't have a lot of paper-crafting supplies like stamps or ink, use other items that are not traditionally used on cards. This bunny came in a package of felt items in the kid's crafts section of a craft store. I think it only cost around a dollar or two for an entire package. The designer paper is from a baby girl stack from DCWV. I cut an egg shape with Spellbinder's Nestabilities and wrapped it with two different types of ribbon. 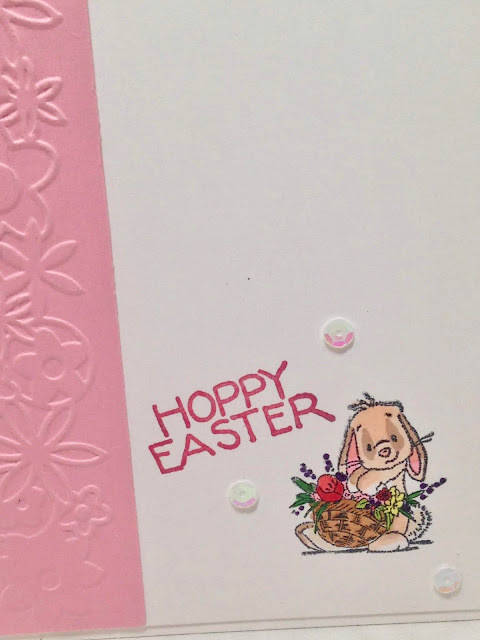 The sentiment tag was stamped with an old stamp from my stash. I just punched a hole through it to make my tag. 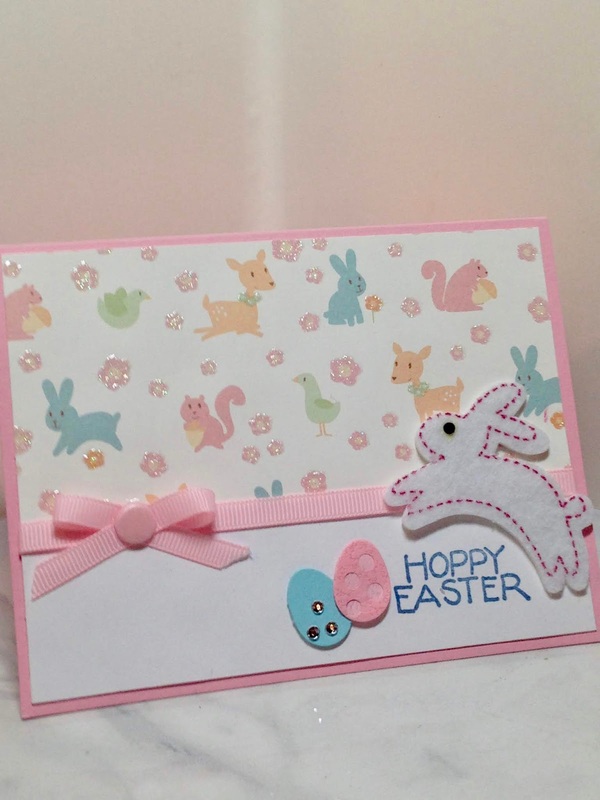 My final card also used baby girl paper from that same stack and more felt stickers. Such little work went into this card thanks to the felt stickers. I just cut my paper, stamped a sentiment, and added the felt embellishments. 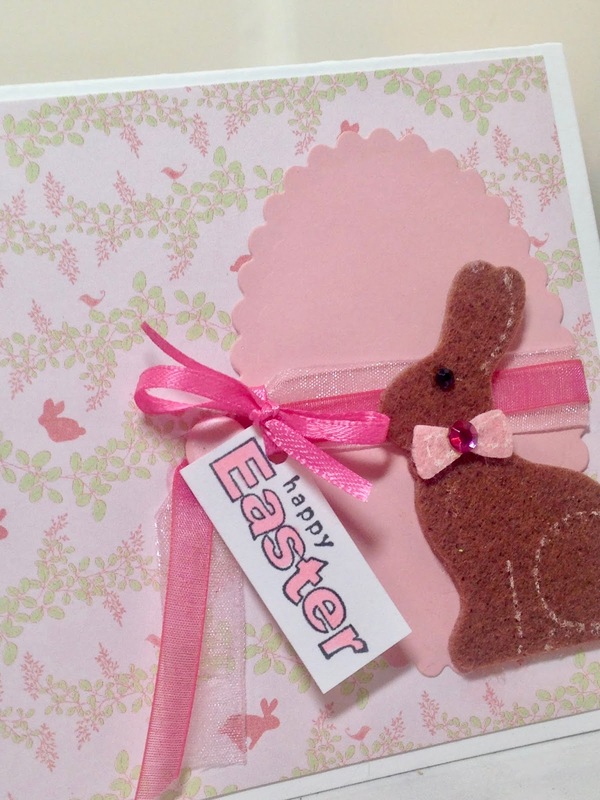 The eggs are pre-made felt items from a craft store as well. 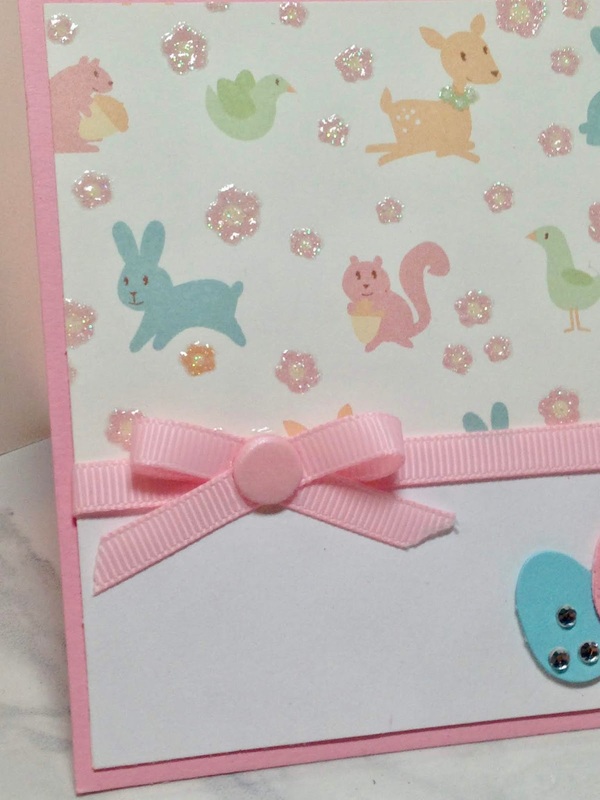 I tied a pink ribbon around the card to cover the seam between the designer paper and the white card stock. After tying a bow, I added a pink card stock dot for embellishment. For more ideas on how to use felt stickers, see this post HERE where I used felt stickers to make cute Easter Tags. These are so cute, Amy! 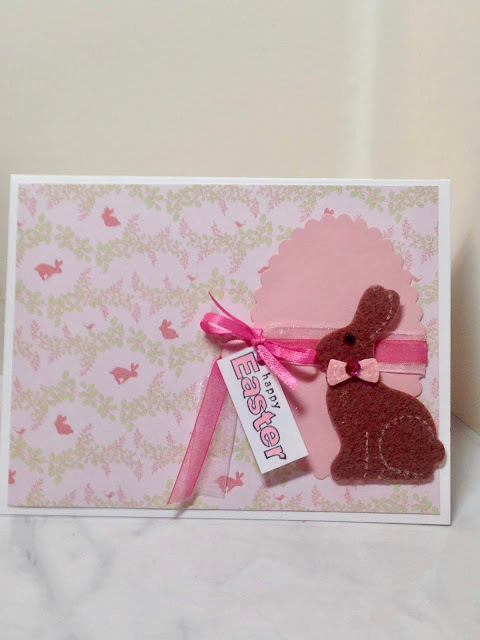 Love the pretty papers you used and how wonderful are those felt bunnies!! I always love seeing your cards! Aw I love that cute little bunny! My girls make cards for people and it's always so fun to see them use things we already have. Thanks Ruth! 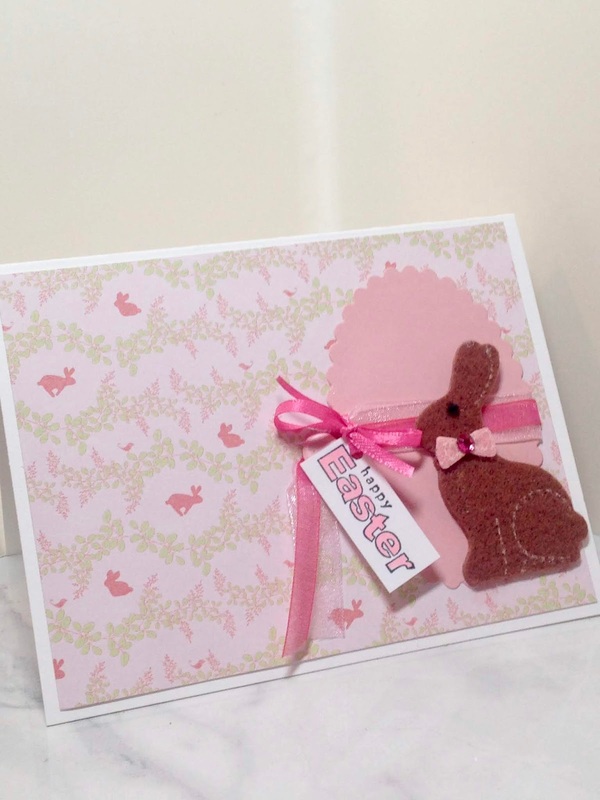 I look forward to making cards with my grandchildren one day! Thanks Debbie, I hope you do! These are all adorable, but I especially love the simplicity of the first one. :) Thanks for sharing at Sweet Inspiration!